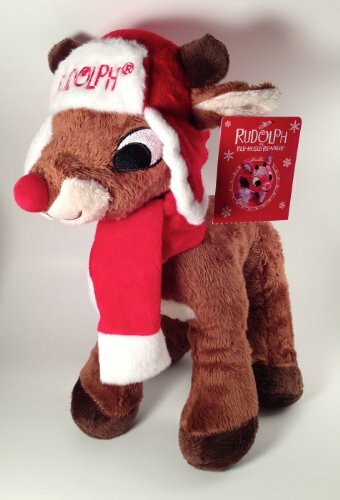 Any child would love to have some Rudolph the Red Nosed Reindeer plush toys. The great thing about Rudolph is that he has been an iconic Christmas character for decades and it seems that every so many years he gets a makeover which just brings him and his story closer to kids from each generation. Whether it is in movies, books, or songs, every child and adult can relate to the message that Rudolph represents. 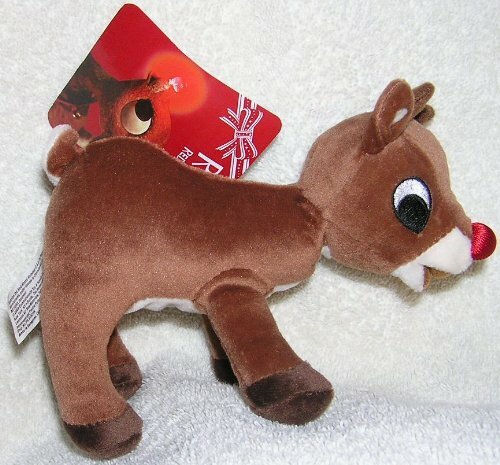 I can think of multiple people who would love to get a stuffed Rudolph the Red Nosed Reindeer toy. Many of these are coworkers who already have little ones who would truly appreciate having a soft, squeezable toy on hand not only for Christmas but for the entire year. This makes any of these plush toys perfect for people with kids, grandkids, or friends with kids. Of course, with that being said, there is no reason that only children would appreciate this as a gift. These could be perfect for adults who want to decorate with Rudolph for the holidays or someone who already has a stuffed animal collection. See more from the large collection here! 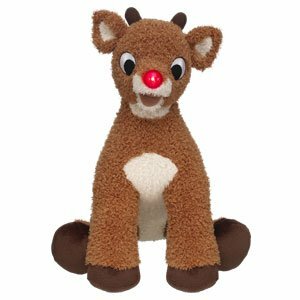 When it came to picking from the large number of Rudolph plush toys, I looked for some of the best rated ones that also offer some variety. They each have a different look and each bring something a little different. So whether you are buying for someone who knows Rudolph best from his classic Christmas movies or if your little one is more familiar with Rudolph, Clarice, and the Island of Misfit toys, there is something available. The second one is also a good choice. 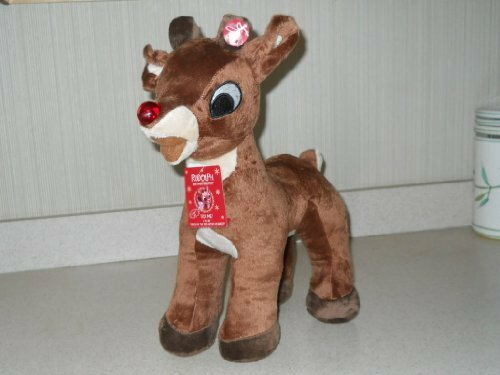 I think it looks great just like the first one but it offers an extra bonus and that is it is a Singing Rudolph the Red Nosed Reindeer plush toy with a light up nose. Everyone loves something that sings; though if you want something that won’t drive you crazy over time maybe go with a quiet toy. Preview of the singing song below. The next two toys depend on what you are looking for. If you want a good sized plush of 18 inches then the Build a Bear Workshop Rudolph is a good choice. The last one displayed is a 5 inch stuffed toy that is perfect for little hands or to put on display with your other Christmas decorations. The small one also has an affordable matching Clarice stuffed reindeer toy which makes it a great gift set idea. Stuffed animals can last forever so one of these plushes can easily be enjoyed holiday after holiday whether you use them only at Christmas to put on display or your kiddo loves on it throughout the year. Which Rudolph movie do you remember the best and do you think he will always remain a Christmas staple? ← How Early is too Early to Decorate for Christmas?